With 15 000 students, a rich multidisciplinary training offer and 19 internationally recognized research laboratories, the Université Savoie Mont Blanc is a human-sized establishment that combines proximity with its territories, membership of the PRES University of Grenoble as a founding member and a wide openness to Europe and the world. It proposes short courses (university diplomas of technology, university diplomas) and long (General, specialised or professional licences, masters of research or professionals, diplomas of engineers, doctorates), both in initial training that continues, alternating or in validation of experience achievements. On its three university campuses in Annecy, Bourget-du-Lac and Chambéry/Jacob-Bellecombette, it offers particularly attractive living and study conditions, at the heart of an exceptional environment, between lakes and mountains. At the service of research and training, international participates in the identity, attractiveness, dynamism and overall development of our establishment. 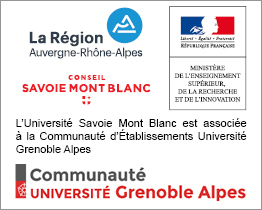 Savoie Mont Blanc University is committed to developing international projects, double diplomas, English language training, and on the other hand to encourage as much as possible the mobility of students, teachers-researchers and administrative staff. Although present on the 5 continents, with its 240 bilateral conventions, it has succeeded in valuing its exceptional situation at the border of Switzerland and Italy to develop privileged and strong relations with educational institutions superior of these two countries: French-speaking Switzerland, Turin, Milan, Valle d'Aosta... There is a mix of regions and University cities. Our students are assured to find at the University Savoie Mont Blanc a strong dynamic, a personalised follow-up, an accompaniment in the definition and evolution of their personal projects and the strengths to succeed their insertion in the working life. Choosing Savoie Mont Blanc University is to put on its side all the chances of success and personal development. Dear students from Europe and the world, welcome to the Savoie Mont Blanc University! 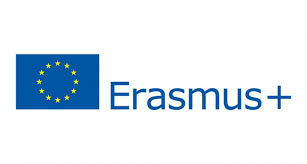 Dear students of the Savoie Mont Blanc University, consider discovering Europe and the world!